One Fish, Two Fish, Red Fish, Blue Fish. The first in what I hope will be a lifelong love of books. 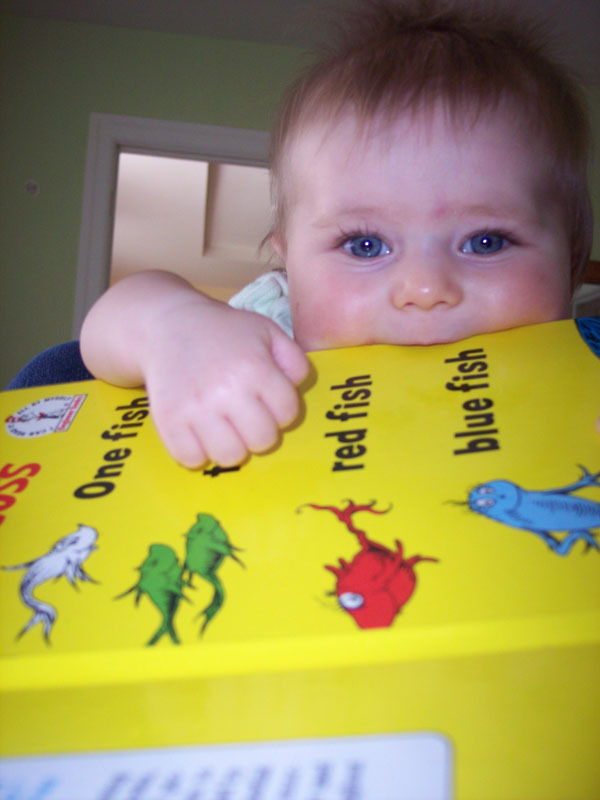 Cary LOVES this book (not only to eat, but to listen to)! It is so much fun to read it to her, she just laughs and laughs. I can't quite get through the whole thing with her yet, but the rhythm of the words and the rhyming is just so entertaining to her. Her favorite part? Black fish, blue fish, old fish, NEW FISH! On "new fish", I tickle her tummy.